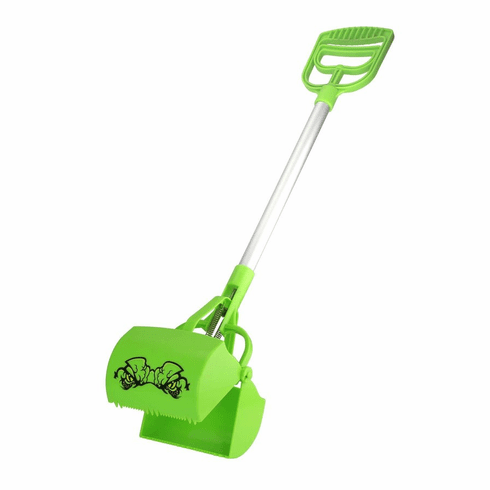 Easily pick up waste without bending down or touching. 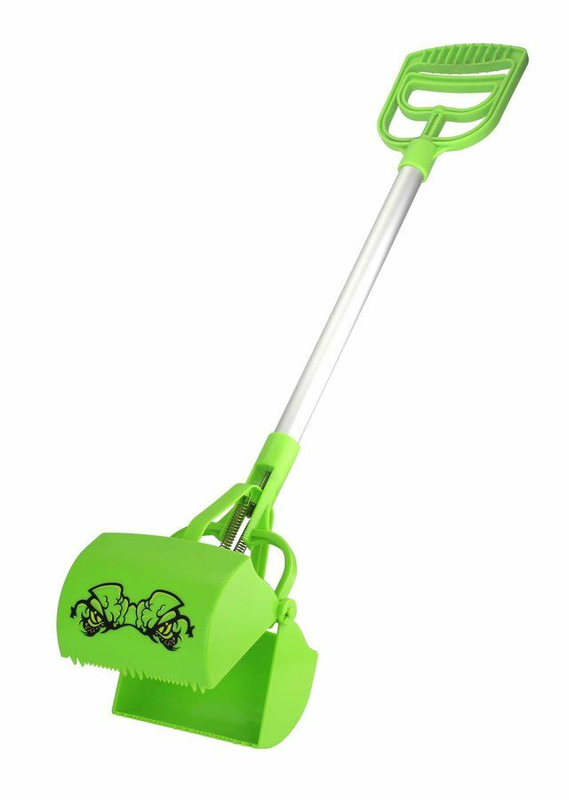 Great for cleaning up messes on grass, concrete, dirt and more. 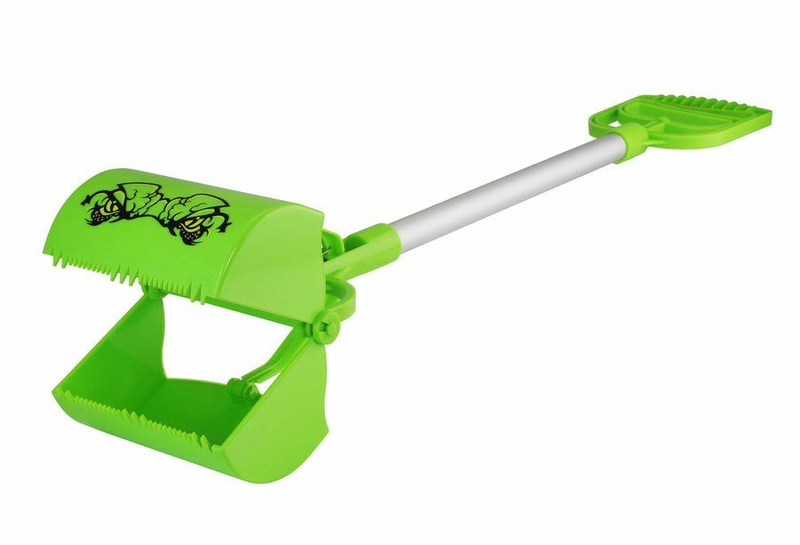 Features jagged teeth for easy pick up, spring action jaws and a large scooper. Weight	0.8 pounds. 5.25" x 5" x 27.5”. Plastic. UPC Number: 841437121995.